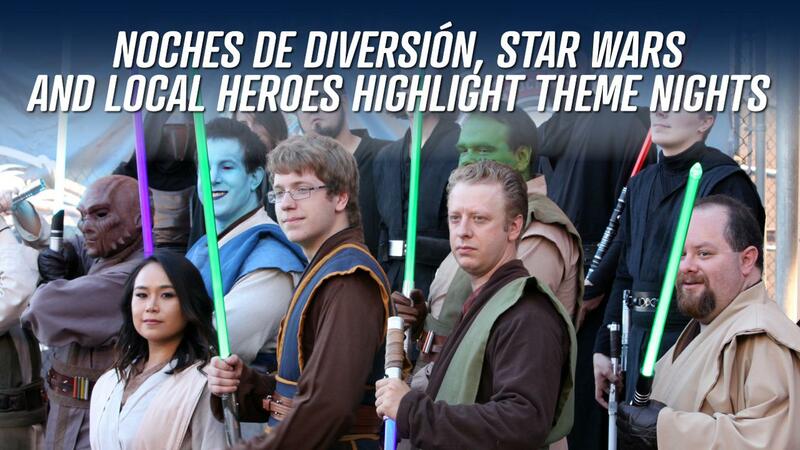 Everett, WA - The Everett AquaSox are excited to announce the Noches de Diversión (Nights of Fun), Star Wars Night, Local Heroes Night and additional theme nights for the 2019 season. The four-legged fan favorite, Bark in the Park, will have man's best friend howling at the moon in July at Funko Field. The AquaSox start the season on the road which means Father's Day will be "made up" on Sunday, June 23. Our Make-Up Father's Day will be an exciting time to enjoy the game and play Postgame Catch on the Field presented by Hempler's. July is filled with our Independence Day Celebration on July 3 and the Everett Conquistadores the following week. As part of Minor League Baseball's Copa de la Diversión (Fun Cup) initiative to embrace the culture and values that resonate with most Hispanics/Latinos nationwide, the AquaSox will become the Conquistadores for not one, not two, but three days in a row starting Thursday, July 11 through Saturday, July 13. The 3rd Annual AquaSox 5K will start at 9:30 AM on Saturday, July 20. Saturday night will also include Pink at the Park presented by Providence Regional Medical Center with a Game-Used Jersey Auction! Sunday, July 21 is our annual Healthier Communities Day presented by Providence Regional Medical Center. Carrying into Monday, July 22 the dogs will be welcome back at the park for Bark in the Park presented by Heritage Bank. July concludes with 90's Night on Friday, July 26; Cowboys and Princesses Night on Saturday, July 27 and Military Appreciation Day presented by Flying Heritage & Combat Armor Museum on Sunday, July 28. August games kickoff going intergalactic on Friday, August 2 for Star Wars Night and Girl Scouts Night. Sunday, August 4 is our annual Car Show and Root Beer Float Day! Enjoy unlimited Root Beer Floats for only $6 while supplies last!! Seattle Children's Family Festival will place on Sunday, August 11 along with our Mascot Mania and Postgame Challenger Miracle League Game. Kids can continue the fun on Tuesday by attending our 11:05 AM Kids Day game! Adults can partake in the fun as well on Wednesday, August 14 during our Brewfest presented by The Independent Beer Bar. Our 35th Anniversary would not be complete without a dedicated celebration and that will take place on Friday, August 16 with a Game-Used Everett Giants Hat Auction! Funko Field is an inclusive place for all fans from all different walks of life and we are proud to host Pride Night on Thursday, August 22. Local Heroes Night will be on Friday, August 23 along with our Boy Scouts and Cub Scouts Night. The 22nd Annual Frogstock presented by K&H Printers and our Game-Used Frogstock Jersey Auction will be held on Saturday, August 24. The homestand concludes with Faith and Family Night presented by Calvary Arlington. The last theme night of the year will be our Fan Appreciation Day on Sunday, September 1 where fans have a chance to leave with awesome items donated by our corporate and community partners!